You've asked, we've responded! Here is the same quality cotton knit as our wonderful Dutch cotton knit prints (a little bit heavier) in a solid color, imported from The Netherlands! 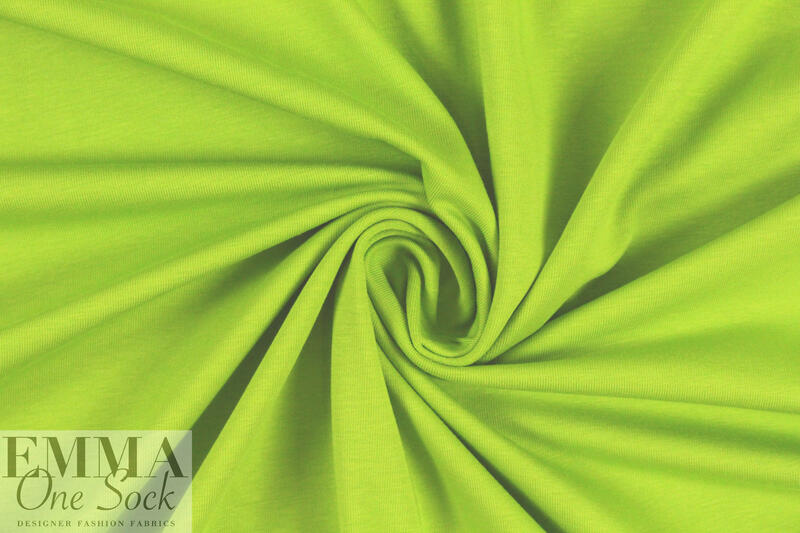 The quality of the fabric is sublime, soft and substantial, with about 50% stretch in both directions. It is opaque and has a luscious hand and drape with body. 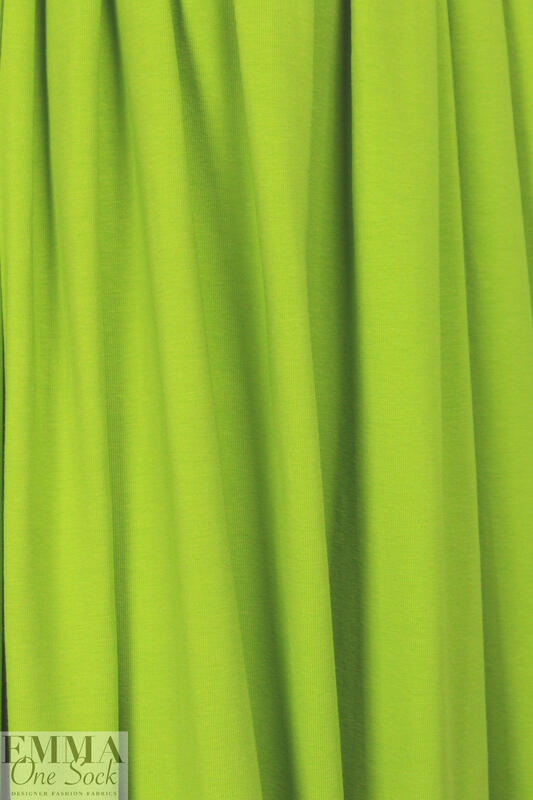 The color of this one is a spring green (PANTONE 15-0343). 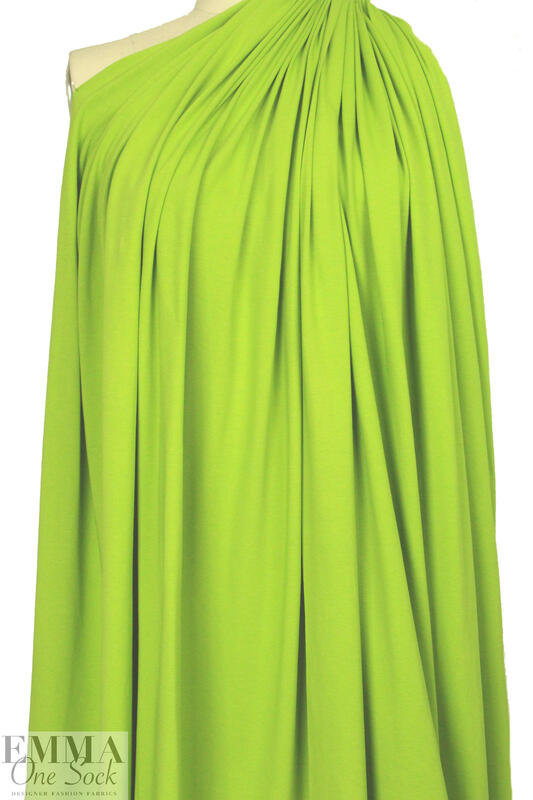 Make a fabulous tee, top, tunic, skirt, dress, tights, etc. The manufacturer recommends hand or machine wash warm, hang to dry. Please test first.